Mechanics are vital, but you do not want to pay them to service your car for every little thing. Going to a professional can take a big bite out of your wallet if you need one often. 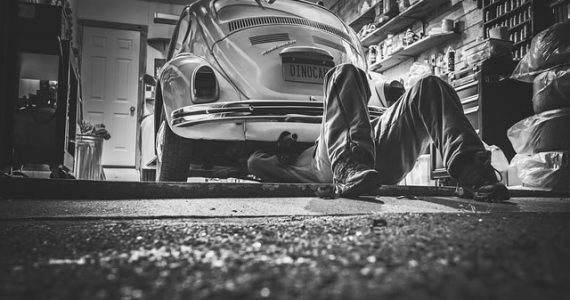 The following are five tips to help you maintain your car without a mechanic. There are a few filters in your car like the air filter or the fuel filter. Each filter needs to be replaced to ensure that debris does not get into your engine. The debris can end up hurting your car in the long run, so learning how to do this task is a good idea. The antifreeze, oil, brake oil, and transmission oil need to be replaced from time to time. Learning how to do this on your own should definitely make it easier for you to maintain your car. These liquids are meant to help extend the life of your car so do not ignore them. The way you drive could also affect the overall health of your vehicle. 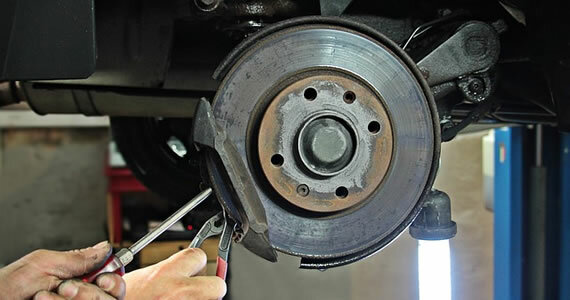 Riding your brakes could damage tires and brakes prematurely. It also puts additional stress on your engine that it does not need. Driving over bumpy roads can hurt your axles and your suspension gave enough time, which makes mindful driving important. One of the most important parts of your car is the battery. You want to make sure you do not try to charge too many electronics in your car or leave your lights on accidentally to prevent the batteries from going out. Still, the most important thing to do is to simply have the battery inspected regularly by professionals. Underinflated and overinflated tires can spell trouble for car owners. Tires that are overinflated could cause blowouts while underinflated tires can sometimes make your car harder to control. You want to periodically make sure your tire pressure is always right. You should also learn how to check your tire wear because balding tires can be dangerous. Hopefully, some of these tips help keep your car in good condition longer so that you do not have to go your mechanic often. Of course, you are still going to see him or her at some point, but at least you’ll be saving some money now. A problem many car and vehicle owners face when they take their vehicle for a repair to a garage is that, the estimate given to them does not match with the final bill they get. Increment in the bill amount is common in most cases, and, the main reasons will be extra repairs or change of spare parts which were not considered before the work. This again, when looked critically happens because the examining auto mechanic does a lame job in many cases, and does not check all car parts. One more reason this happens is because when the auto mechanic reviews that the repairs and services would cost too much to scare off the customer, they quote a lower affordable amount too. Whatever the way it is, the problem ultimately comes as a burden on the shoulders of the vehicle owner only. If you pay, you get the vehicle back. If you don’t, the vehicle is with the garage till you clear the bills, or the dispute by a scuffle, argument, lawsuit etc. For these reasons, when you are taking your car to a garage, always make sure that their record is good in giving the exact quotes. Else you may soon feel a hole getting drilled in your pocket, and this may actually pose a problem for you. It’s simple to find a way. You just have to ask the garage that they give you the right estimate, or else you may not be the returning customer. While you say this to a garage owner, also inquire about their customer feedback and ratings from reliable website and business checking sites. Check if they have loads of complaints registered against them, or just a few minimal numbers which any garage may get sometime. When you tell them that you won’t be returning in case you are billed excess, they will get the signal from you clearly in the beginning itself, that you are a concerned customer, and not just any random one. Tell the mechanic, and give clear instructions that any change in your vehicle must be reported to you on due time. If they believe a part needs change or repair, or some extra job needs to be done, then they must tell you prior to doing anything with exact amount quote for that. This will establish a relation of trust between you and the garage, thereby preparing you and giving you a choice. You will know if an excess bill is coming up, or else you won’t get that job done at all. A car of a particular brand gets serviced and repaired best when it is taken to a compatible workshop. Some garages have specialty to repair cars of multiple brands, while others specifically mention which brands they are specialized to handle. 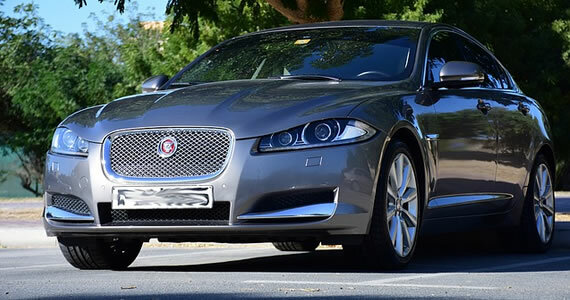 Therefore, if you feel that our car’s brand name is not mentioned, do talk to the mechanic before handing over the car. 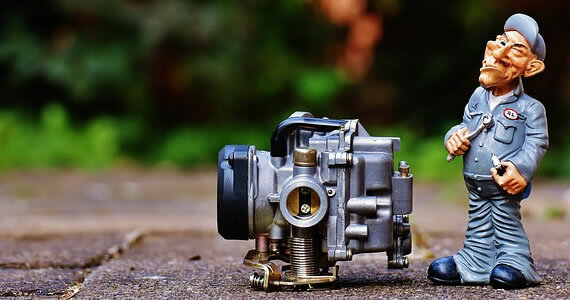 You would soon understand the importance of this, when you would be told that a certain part needs change, and then you start worrying if they would be using a genuine auto part or just a compatible one. This is a big concern for vehicle owners, and if you want to avoid this get things clarified beforehand. Finding a good auto repairs place is not a problem when you have the internet at your disposition. You can check and search for services near you, anytime, and find ones which are rated genuinely. The final impression depends on how well the first service from them goes. Finding a good mechanic isn’t exactly a walk in the park, and even if you think you found on whom you can trust, they may not be so trusting after all. No mechanic shop can give you an accurate estimate over the phone; however, they can give a rough estimate. If a shop offers an exact estimate, it can backfire because even though you may think you know what’s wrong, there may be other things wrong with your car. Plus, they may entice you to come in by saying they can do it for X, when in reality, they will charge three times the amount. A good mechanic will always want to give an estimate in person unless you know exactly what you want such as an oil change or new tires. Before the car repair shop gets to work on your vehicle, ask them to give you a solid estimate on all the work that’s going to be done. You want to know exactly how much the end job will cost. 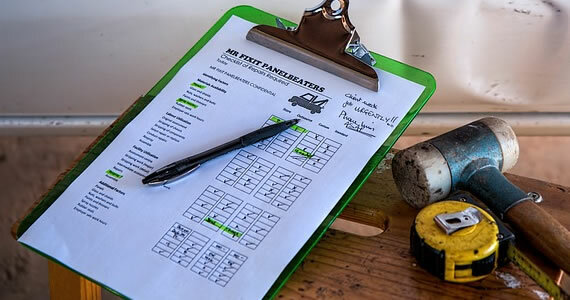 Allowing a mechanic to get to work on your vehicle without giving you a solid estimate beforehand is a recipe for disaster, and if a mechanic doesn’t automatically do that, chances are they’re not honest and may charge you a lot more than you think. When you pull up to the shop, there’s a good chance there are going to be other customers waiting for their vehicle. If you get a chance, ask some of these customers if this is their first time coming to the shop. If not, that’s a good sign; it means they like the work that’s being done. It also gives you a chance to see who they may have used in the past. It’s always great to talk with other customers to see why they go there. Don’t just talk with the customers in the shop, either. Talk with friends, neighbors and family to see who they use as well. While not all reviews reflect the quality of a mechanic shop’s service, they’re still worth looking at. If the mechanic has good reviews, then perhaps their services are what these reviews say they are. However, you shouldn’t stop there and assume that they’re honest. Again, while you should take these reviews with a grain of salt, see why people like them and why people don’t like them. Try to get the best deal possible, and never settle for the first estimate you receive. Make sure that no work is performed unless you specifically give permission. If you feel that the cost for parts are too high, it may be possible for you to obtain those parts yourself if you would like, and then simply pay the mechanic for labor. However, keep in mind some mechanics won’t install parts you bring in, so be sure to ask ahead of time before you invest your money in parts. If they do allow you to purchase parts, then it may be better to shop yourself to see if you can save. When inspecting a shop, there are a few things you will want to pay close attention to. How clean is the shop? A clean shop means the mechanics care for your space and it’s safe to say they will do the same for your car. How knowledgeable is the staff? The minute you walk into the shop, you should be greeted with someone who knows what they are talking about. If they are hymning and hawing, then this could be a red flag. Lastly, talk to the mechanics. How old are they? Are they knowledgeable? A good mechanic will have been with the shop for quite some time and will be able to answer any question you have. Doing your due diligence and talking with at least three to five shops will save you a lot of headaches. Be sure to apply some of these tips mentioned above to ensure you’re paying the fairest price possible. This was a guest post written by Stephanie Lynch, a freelance writer who resides in Gilbert, Arizona. She is the co-founder of Howmuchisit.org, a cost-helping database.